I have a plan. You stare at it. I ask you what it is. And, GO! It’s a lovely day in the fall, and you’re taking your dog for a walk when the craziest thing happens — you approach a giant floating rotating square with colored stones inside. Call me crazy, but my natural assumption would be that humanity is doomed, and that we should all beg our new Master Cube for our lives. Julie, Peter and their dog, Ben, must have balls of steel though, since their inclination is to point and gawk at it all day. They’re the main characters in the puzzle game Vizati from developer Different Pixel, and for 80 MS Points, you can find out if this mysterious magical cube will be the death of us all. Julie and Peter are actually just a clever background to Vizati‘s story mode, in which gamers will tap their chins and make scrunchy thinking faces through 50 puzzling stages. The floating cube gaining all of the attention is actually the game board, which players must turn, tilt and flip to group the scattered stones inside by color. The stones fall based on the single movements of the cube; after a rotation or flip, the stones will fall vertically into place and tilting will shift them one square over. While there isn’t a time limit, there are a limited number of moves to match the stones and advance to the next stage. It’s a simple concept to grasp as the first five stages are explained through tutorials, but as with many puzzlers, the stages become more challenging as you progress. Most classic puzzle games are known to become frantic and intense as you advance, but Vizati‘s story mode is a chill, laid back ride all the way through. Controls are easy to handle with rotating and flipping of the board done with the left stick and tilting with bumpers. The artwork is serene and the music is absolutely beautiful and relaxing. This is one to kick off your shoes and sink into the couch while your brain gets a little workout. All the while, the cast of charming characters continue to point in the sky and hauntingly ask “What is that thing?” to the final, surreal end. About halfway through story mode, the puzzles do become a bit difficult to solve and will require a good memory of what you have and haven’t tried yet. Beyond the first few stages, Vizati doesn’t offer any hints or clues on how to solve each of its puzzles. This can lead to frustration and the impatient will certainly zone out and move on to another game. Having unlimited moves would have made the game easier to playthrough, and perhaps using limited moves would have made a great challenge mode. An undo feature to backtrack your moves would’ve been a nice addition as well. Wishful thinking. Still, even without these advantages or features, Vizati is definitely beatable for the persistent. After tackling the first 20 stages in story mode, an arcade mode will unlock. Players will have to make a set number of color matches under a time limit as stones continuously appear. This mode has the classic puzzle game mindset; getting further means getting faster. Sadly, Vizati‘s arcade mode doesn’t turn up the heat and is rather easy when compared to story mode. The result feels like an infinite mode without the charm or promise of an ending; it just keeps going while slowly becoming more demanding. But, I have to admit, it’s pretty intoxicating. As far as dollar games go, aside from needing a few difficulty tweeks, this is a solid package. Your eyes do not deceive you, that is indeed the word contest, which means two lucky people will be getting the chance to download Vizati free thanks to equal parts of “awesomeness” from us and Different Pixel. To enter, simply type some form of “What is that?” in the comments section below — but let’s keep it PG-13 shall we? Please include your @Twitter name (if you have one) when entering. Winners will be selected on Friday, August 5th. All entries must be received by Friday at 9 PM EST/6 PM PST. Could someone please explain to me, in a language that I am typically native to, what the object that has captured my attention in a most puzzling manner that fills my ocular senses with curiousity that cannot be expressed with a simple head scratch, bit with a more complex display of wonder such as eyebrow hiking or heavy sighing is? Crap… My twitter ID is @mirpkered as well. What is that awesomeness? Free Vizati from Different Pixel and Video Gamer Rob? OMG! Doesn’t that look like a ? What is that sound? The sound of disappointment as I lose another contest. What is that contest? Perhaps one I will win this time. What is that smell? a winner!! What is that? 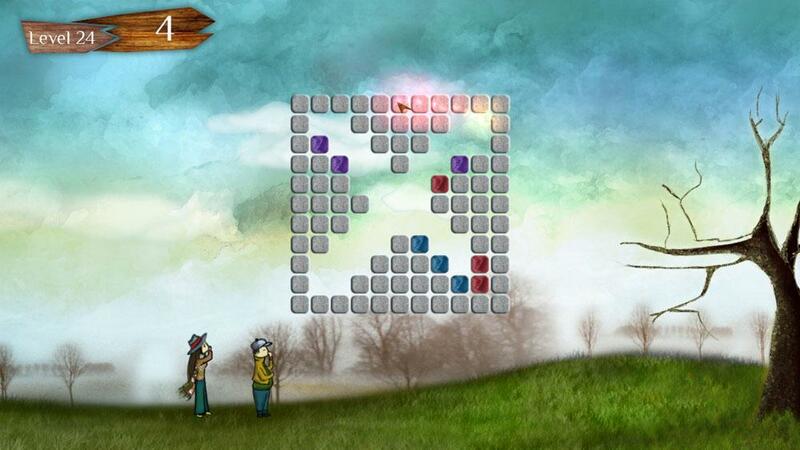 Wow It’s a super Zen Puzzle Game.. It’s Vizati!!! What is that feeling? Victory!! What is that non-dirty question I’m submitting here? What is that thing growing inside my fridge? What is that smell? Oh, that was me. I just want this so I can give it to a friend!!! What is that? Oh wait that’s me!